Get the Tools You Need for Machinery Lubrication, Oil Analysis Certification with the Noria Academy app, free with your training purchase! Obtaining certification can be a challenge; new terms, concepts and topics can overwhelm even the most experienced reliability professionals. Training experts all agree that extending the learning beyond the classroom dramatically increases knowledge retention. To aid in this retention and create an innovative student experience, Noria is pleased to release the Noria Academy app. comprehensive charts provide instant feedback for students and guidance on topics that have been mastered or need additional attention. 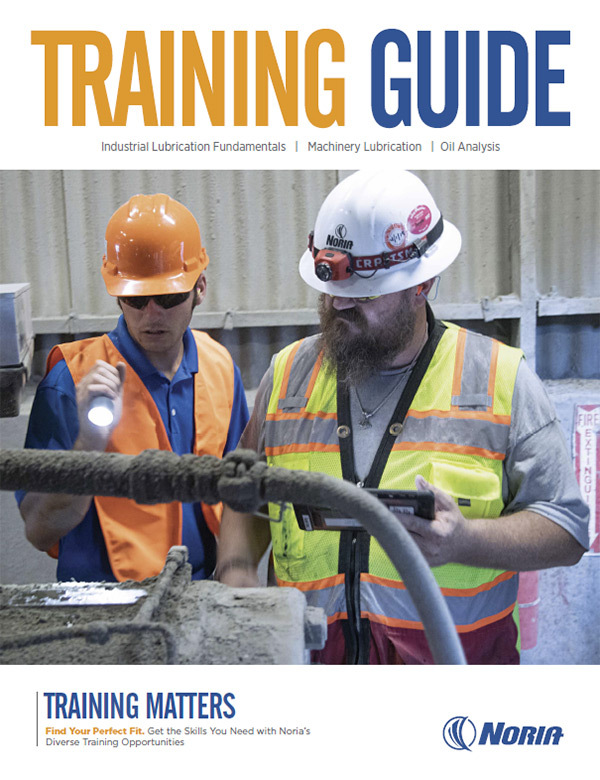 The app also makes it easy to prepare for certification exams, such as the International Council for Machinery Lubrication’s Level I and II Machinery Lubrication Technician (MLT I/MLT II) certification, and Level II Machine Lubricant Analyst (MLA II) certification, as well as other reliability certifications. All study materials align with classroom course content, allowing students to begin studying even before the class starts. The Academy app is free with your purchase of any Noria certification courses: Machinery Lubrication I, Machinery Lubrication II and Oil Analysis II. In addition to the Academy app, students in these courses also receive a full-color manual, providing a comprehensive educational experience. Sign up now to receive more information on the Noria Academy app.